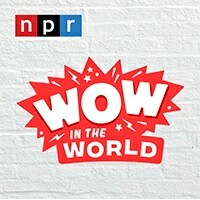 There are a plethora of podcasts specifically for kids. Podcasts aren’t just for adults. If you’re the parent of a child, tween or teen who’s interested in storytelling, then a podcast might be the perfect option. 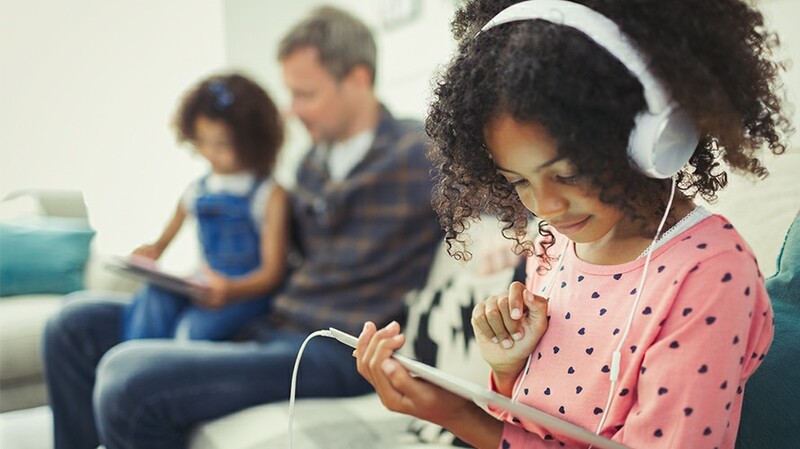 According to the first survey of kids’ podcast listening habits conducted by Kids Listen, 74 percent of respondents reported that their children initiate discussion based on a podcast after listening. Children are also likely to quote or re-enact part of the episode, tell others what they’ve learned, ask to listen again, get more information, or request to do an activity inspired by the podcast. All A+ reasons to check out these 10 podcasts that will introduce your little ones to mind-blowing facts, eye-opening ethics, snazzy science and other tantalizing topics. Mindy Thomas and Guy Raz are the hosts of NPR’s first children’s podcast, Wow in the World, which delves into “the coolest new stories in science, technology, and innovation.” Touching on topics like alien asteroids, exploding ants and the curious case of the everlasting storm, your young ones will be hooked on this fact-filled podcast. 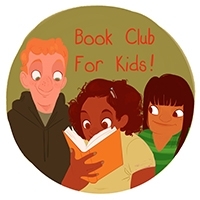 Allow your tweens and teens to indulge in their love for books and podcasts with the Literacy in Media Award-winning Book Club for Kids. 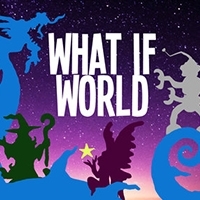 Created and hosted by Kitty Felde, each episode includes a celebrity reading from a middle-grade or YA book while a group of young readers discuss the story with the author present to answer any questions. The podcast has covered books like The First Rule of Punk by Celia Perez, The Crossover by Kwame Alexander and As Brave As You by Jason Reynolds with celebrity guests including actress Jo Mei, actor Joshua Malina, LA Laker Tarik Black and D.C. Congresswoman Eleanor Holmes Norton. As children get older, they start to realize that the nature of ethics — or “those curly questions” — goes beyond what’s right and what’s wrong. 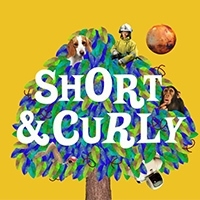 In the Short and Curly podcast, listeners explore debatable topics like, should you move to Mars? Should you eat your pet? Is your classroom fair? And, is it ever OK to lie? 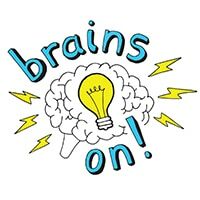 The award-winning Brains On is hosted by Molly Bloom who is joined by a different kid co-host each week. Together, they tackle science-based subjects that have been submitted by listeners such as burning rivers of fire, a mutant snail and the vampire of the Great Lakes. With over 100 episodes to dive into, your curious child will have plenty of listening material to keep them busy. Adults aren’t the only ones who like to delve into a mystery. 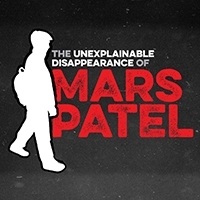 This Peabody Award-winning scripted series performed by middle grade kids—which has been picked up for TV—is described as “Goonies meets Spy Kids meets Stranger Things for 8-12 year olds.” The Unexplainable Disappearance of Mars Patel tells the story of an 11-year-old 7th grader who is searching for his missing friends and while on the lookout, finds himself caught up in unexpected situations and troublesome circumstances. 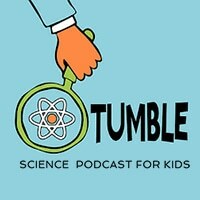 With the help of actual scientists, Tumble tells the stories of scientific discoveries while hosts Lindsay and Marshall search for answers in episodes like The Magic Memory Molecule which asks, “How does our brain remember things?” And The Case of the Invisibility Cloak” where the podcast explores the real-life science behind invisibility. 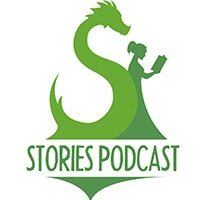 If your kids love fictional adventures or fantastical fairy tales, then they should definitely check out the Stories Podcast. A team of talented performers deliver a new story every week, taking on classics like The Princess and the Pea and The Pied Piper as well as attempting whimsical original work. 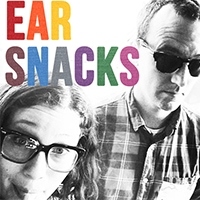 Award-winning music-makers Andrew & Polly host Ear Snacks, a podcast where the pair and their friends chat about songs, science, art and culture in a lively, family-friendly way. Suitable for podcast-loving preschoolers, episodes offer age-appropriate insights into topics like Chinese New Year, wearing glasses and meditation. 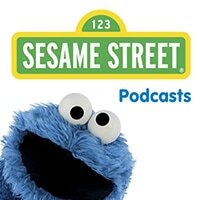 If your toddler can’t get enough of Elmo, Abby, Cookie Monster and Grover, then they’ll love the Sesame Street Podcast. New episodes are released every Monday and feature songs and skits from the beloved muppet characters. Your little one can sing a tune with Bert and Ernie before learning about their A-B-Cs with Big Bird, all thanks to this fun-filled podcast.